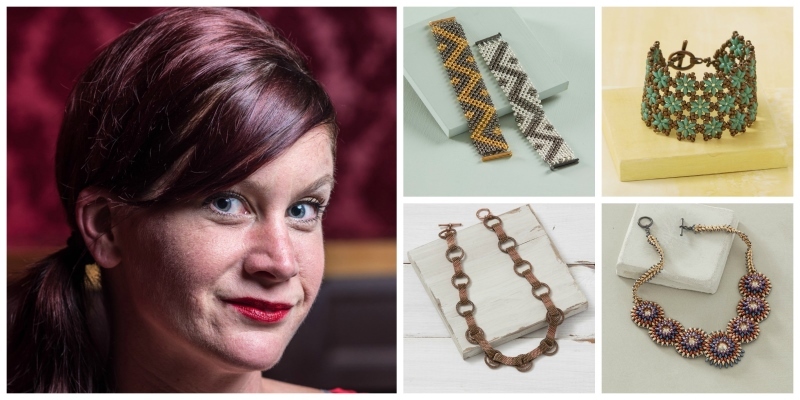 Shanna Steele has had four projects published in Beadwork magazine in 2017. Her edgy Heavy Metal Bracelet, made with 4mm metal rounds, was in the December 2016/January 2017 issue. Her bronze and turquoise Beads in Bloom Bracelet was in the February/March 2017 issue. Her fun Copper Connections Necklace was in the June/July 2017 issue. And her gorgeous Tucson Vista necklace was the August/September 2017 cover project. Q: Where is your current workspace located? 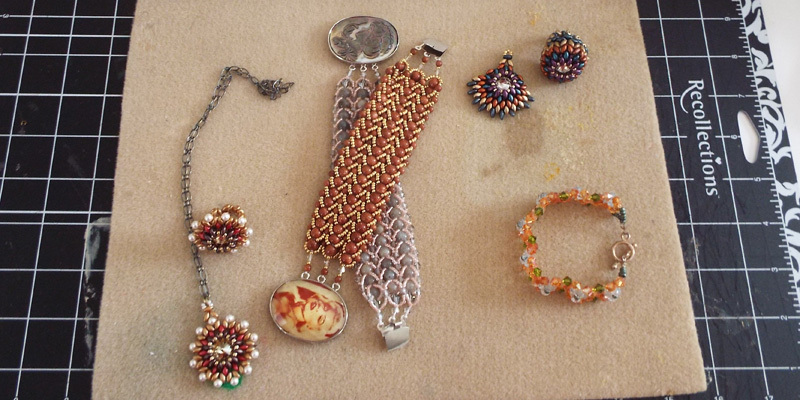 A: I actually have an entire room in my house dedicated mostly to beading. I also like repurposing items and playing around with paper, so I have stuff for other crafts as well, but I call it my bead room. Q: How is your studio/workspace organized? A: I have a large desk that is open so you can sit on either side of it. I made a cushion to go on a bench that’s behind the desk, up against the wall. 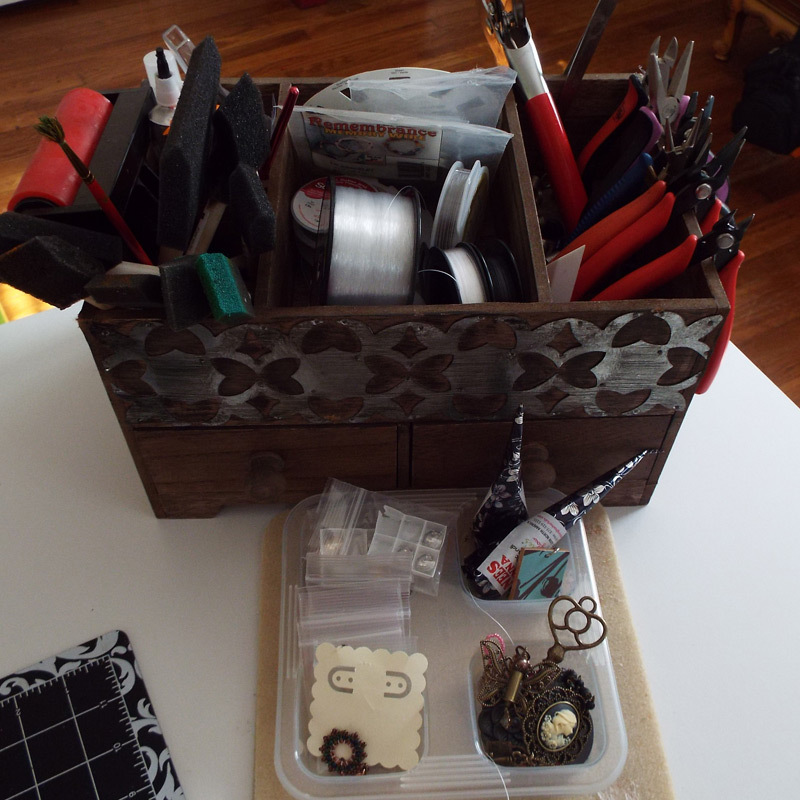 The bench has storage underneath it, which is where I keep most of my beads in containers and bins. There are cubes on either side with magazines, books, and bins for additional storage. 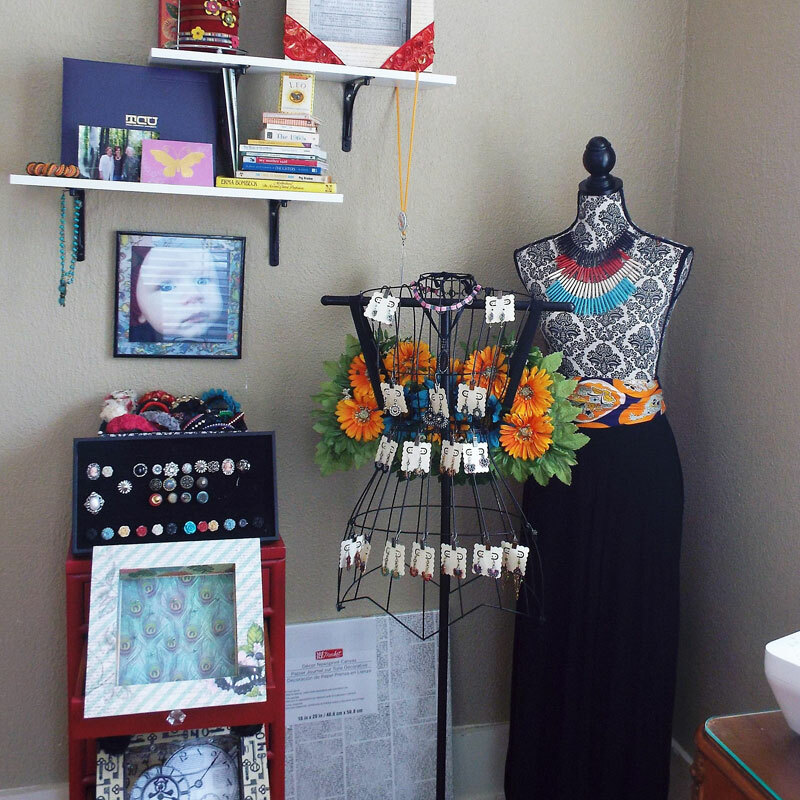 I also have a corner where I keep some of my other handmade items and things I bring to craft shows, such as dress forms and jewelry displays I make. 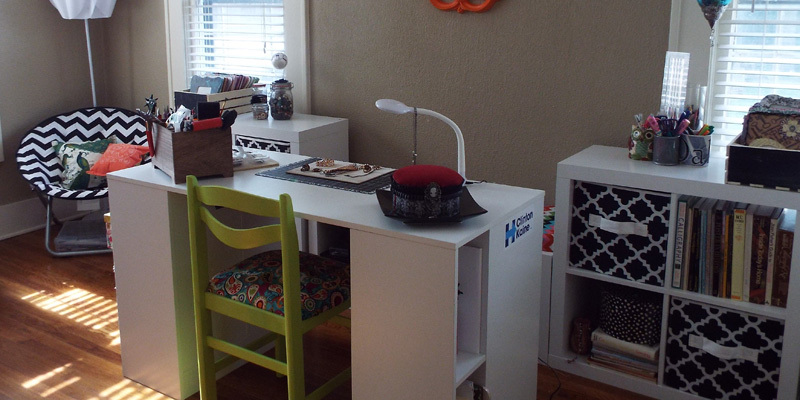 Q: What do you love about your beading space? A: My house was built in the 1920s and it has beautiful crown molding, original hardwood floors, and TONS of natural light. In addition, there are trees everywhere, so my view is pretty spectacular anywhere I sit. I feel very content and inspired just being in the space. Q: What’s the ONE thing you would change about your studio if you could? A: It’s a small thing and very easy to do, but I’ve always hated the neutral color on the walls. I think it needs a splash of color or something a bit more exciting, such as a wall that’s a gallery or showcase of my published pieces. Q: What’s your favorite beading tool? A: This may sound silly, but I love working with my hands. It takes a lot to get me using a needle and thread. I have a tendency to start all of my designs using monofilament cording so that I don’t need a needle. 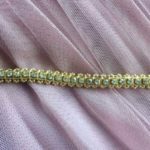 This way, I can see and feel the structure, shape, and pathways of my beadwork more easily. I actually have a permanent dent in my thumbnail from using it to open jump rings because I avoid using tools even for that task! Aside from that, I discovered many years ago that the cutting tools and needle-nose pliers electricians use are a beader’s best friend. Find Shanna’s designs in Beadwork magazine!